This story is the first part in a four-part series about our Halfsy Hero, Michelle Paxton. Our series will follow Michelle and three other heroes as they train for the November 6th Good Life Halfsy. Michelle Paxton wakes up before everyone else in her house. She makes coffee, takes a few sips, ties her tennis shoes and heads outside. By the time she gets to her spot the sun is just peaking over the horizon – time to run. This has been Michelle’s morning routine for the past 10 years. She’s a competitive runner, which means she’s almost always training for a race or working toward a PR. But Michelle isn’t just a runner, she’s also a wife, mom and lawyer. She’s found a way to make running a normal part of her daily routine and integrate it into her family’s activities. This summer, her husband and three kids vacationed at the Grand Tetons and Yellowstone National Park. On that trip Michelle worked in two half marathons, just a week apart, and she was the first and second woman to cross the finish line at the races. Michelle has been running since her junior year in high school when she joined the cross country team. She’d never been very interested in sports, but liked the independence that running gave her. When she went on to college and then law school, her running ebbed and and flowed as she worked to manage her busy schedule. 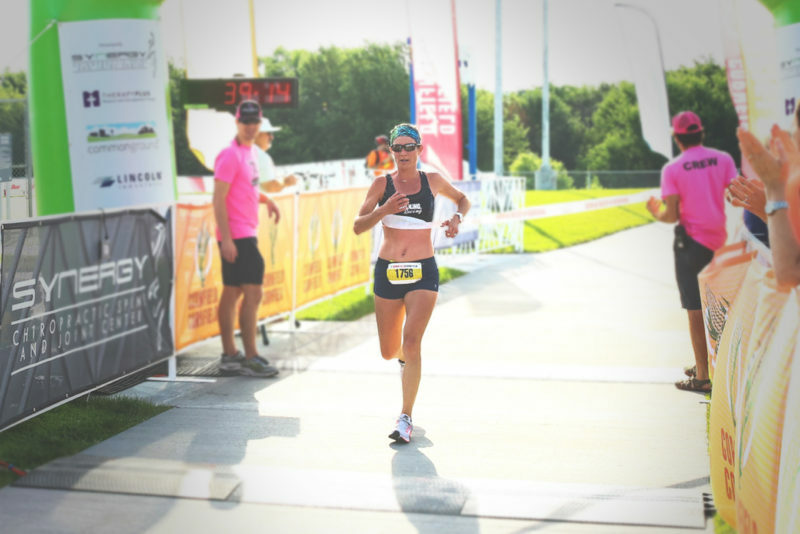 After she graduated from law school, Michelle started to increase her mileage and focus on training for a handful of specific races. She quickly went from an exercise-runner to a competitive racer within a matter of months. Michelle said she’s seen that while running is an individual sport, it’s also a great way to connect with friends. She has a core group of ladies who she runs with every week. They help each other stay motivated during long runs, train for races and celebrate after finishing a race. Running has been a consistent part of Michelle’s life. She loves the competitive nature of races and the rush she gets from being outside and challenging herself to put one foot in front of the other. She’s learned how to make space for running in the midst of working, packing school lunches and shuffling the kids to various activities, but she wouldn’t have it any other way. Michelle said she’s a better mom because she runs, she’s healthy and happy, and maybe just a little bit crazy. But she knows that each run is putting her a step closer to a better time at her next race, and these days she’s got her eye on the November Good Life Halfsy. Check back for more Halfsy Hero stories and to read the next installment of Michelle’s story.